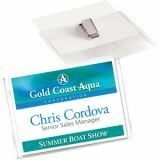 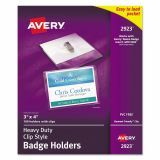 Avery Secure Top Clip-Style Badge Holders, Horizontal, 4 x 3, Clear, 100/Box - Clear, flexible badge holders include a garment-friendly clip. 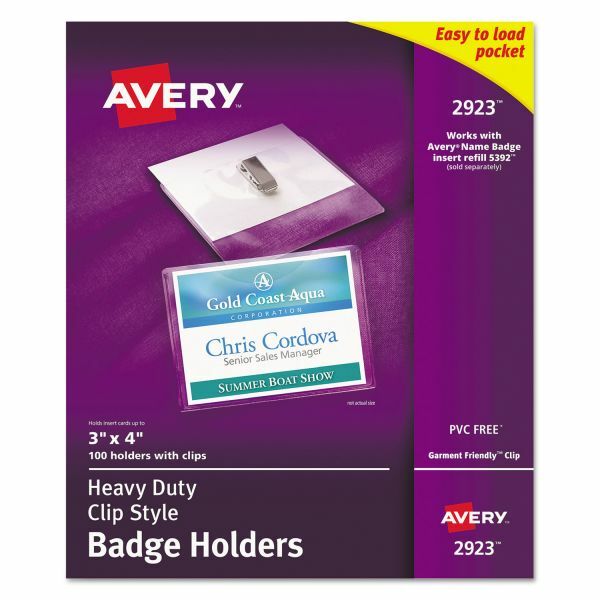 Simply slip your badge inside to protect it. 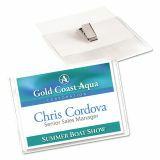 Badge inserts are not included.